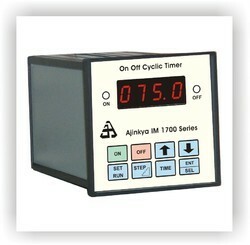 We offering a wide range of Micro controller based Digital Panel Meters. Model: EM 1000, EM 6400, etc. Linear DPM is the most reliable product available and Make in India product. We also offer Multifunction Meters/Digital Panel Meters that are among the best and most reliable in the industry. Our product has seen great utility in many industrial and household applications due to its high accuracy. We also provide with post sales support on our product with the promise of complete client satisfaction. We manufacture Digital Panel Meter, which is installed with in-built alarms that can be configured to actuate on low as well as high set points irrespective of the amount of dead band. This machine is easy to operate and long-lasting. We offer this product at reasonable price. We also provide installation service and our fast delivery is highly appreciated by our clients. The Digital Panel Meters are basically DVM's designed to fulfill the requirement of accurate Measurement and display of various electrical parameters in process industries. Striving towards excellence and product ingenuity has made us a market leader. We are a company, which offers energy management solutions, to a wide range of industries and service segments. Accurate Measurements is our creed, setting standards of distinction in quality, customization, after sales and social service. We are known for our Digital Panel Meter (Elite 200)), which has high voltage and low voltages switchgear panel. 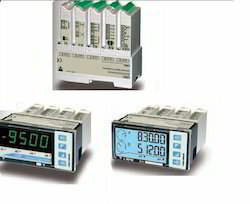 These meters are suitable for building management and monitoring systems (SCADA/ EMS/ DAS). Designed using latest technology by our associates, these meters deliver excellent performance.